Victoria Pannell, a 17-year-old who serves on her Harlem community board, says she's been embraced by her older colleagues. On June 22 at the Queens Hall of Science, an auditorium of citizens raised their right hands and repeated an oath read to them by Queens Borough President Melinda Katz, promising to faithfully execute their duties as community-board members in their respective districts. Some, like Shary Rolnick, a 29-year-old law school graduate who grew up in Forest Hills, were taking the oath for the first time, eager to get involved in their communities. Others were decades into their tenure and received plaques commending the length of their service, like Vincent Arcuri, Jr. , the chairman of Queens Community Board 5, who has served on his board for 40 years, “back before they were called community boards,” as Katz remarked from stage. Addressing the crowd, Katz discussed the growth that Queens has experienced over the years, and alluded to its robust immigrant population. But some critics believe that community boards, whose members can serve indefinitely, are no longer adequate representations of their districts. The demographics of Queens have changed rapidly in the past several decades. In 1970, before community boards were introduced, Queens was 85 percent White, according to Census data. By 2014, White’s share had decreased to 41 percent. But a lack of term limits for board members has lead to glacial turnover, with boards slow to represent newer Asian and Latino immigrant populations in adequate proportions. “I think it’s getting better. I think there’s still a ways to go,” says Evie Hantzopolous, 51, a board member at Queens Community Board 1, which includes Astoria. Hantzopolous says that the demographics of Astoria have shifted significantly, and borough presidents should strive to appoint members who reflect the neighborhoods as they exist today, not as they existed thirty years ago. Even as borough presidents have been offering incremental changes, like the appointment of several teenage board members in Manhattan, Brooklyn, and the Bronx, several Council bills to reform term limits and mandate demographic reporting from board members have stalled, leaving community boards skewing older than some would like. In 2015, the Council did pass a resolution urging the age-limits of community board members to be reduced to 16 years, although teenagers had served on community boards before, when age requirements were more relaxed. But Councilmember Ritchie Torres, 28, introduced a bill last January to mandate more stringent demographic reporting for community-board members. The bill would require a single website with all community-board data hosted by the city, updated at least every two months. It would require aggregate information for community boards, including the number of vacancies currently on the board and the appointment dates of all community board members. Another bill, written by Councilmember Daniel Dromm, would cap terms of board members to 12 years, or six two-year terms. Introduced in December 2014 it has not received a vote, despite getting two hearings over a year ago. Among the most contentious arguments at community board meetings are those related to bike lanes, where the divide between car-owning New Yorkers and those who commute by bike or public transportation becomes stark. Bike lanes were championed by the Bloomberg administration and the push to build them has continued under Mayor de Blasio, spurring heated arguments about parking and safety. Macartney Morris, an Astoria resident in his early 30’s, is hoping to join Queens Community Board 1 soon to provide a counter-voice to anti-bike sentiments. Morris has lived in Astoria for three years and has regularly attended local board meetings in that period, taking a particular interest in issues surrounding bike lanes. Morris says that the mostly older, home-owning, car-owning membership on the community board is not reflective of Astoria as a whole, and when issues like bike lanes are discussed, they are met with skepticism. He wonders whether people aren’t applying enough to boards or whether the people who are applying are not being accepted. Morris applied to be on the board last winter and says he had a positive meeting with Costa Constantinides, the Council person representing his district, but was not chosen to be a board member. In Queens Community Board 4, debates regarding two separate bike lanes, one for the Elmhurst section of Queens Boulevard and one for 111th Street, which borders Flushing Meadows-Corona Park, also highlighted a linguistic divide on community boards. Corona is 70 percent Latino, according to 2010 Census data. And the population surrounding 111th Street has many undocumented Latinos without English language skills, advocacy groups say. While the park keeps no official figures of demographics for park users, immigrant-rights organizations like Make the Road NY and Immigrant Movement International say bicyclists riding up and down 111th Street are mostly Spanish speakers. Jamie Moncayo, Queens Community Organizer for Transportation Alternatives, says there was a disconnect between those serving on the community board and those who live in the community. Moncayo says rather than reflecting the will of the community, Community Board 4 undermined the community process when it came to the bike-lane projects. The proposed safety improvements to 111th Street and Queens Boulevard were the result of a year of workshops with the Department of Transportation, arranged by Councilmember Julissa Ferreras-Copeland and local immigrants rights groups. “That whole process was frustrating because the city and the community went through a yearlong community engagement process. The community actually came out in support of the program. They thought it reflected their needs,” Moncayo says. For months, a coalition of transportation and immigrant rights advocacy groups made the case for both bike projects at Queens Community Board 4 meetings, often bringing Spanish-speakers from the community to speak to the board about safety concerns for their families and children. Safety improvements to 111th Street are still in limbo. One sign of hope for those wishing to refresh board ranks has been the appointment of teenage community board members, the result of that Council resolution urging that age restrictions be reduced to 16. While long-serving board members and borough presidents have been skeptical about other reform ideas like term limits, the appointment of teenage board members have been mostly embraced by their boards. Board officials welcome fresh viewpoints and positive press, and younger board members are able to flex ambition as well as learn the ropes of local politics. 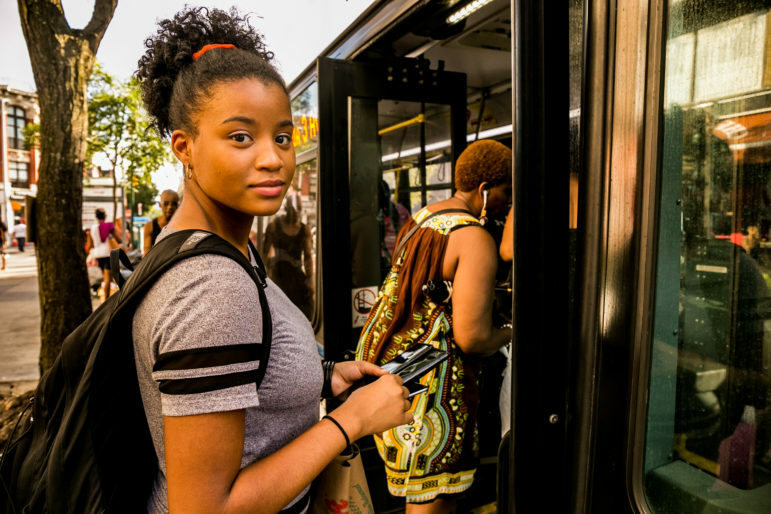 Victoria Pannell is a 17-year-old community board member at Manhattan Community Board 10 in Harlem who was appointed to the board in April of this year. Pannell says teenagers bring a perspective that is often missing on boards, despite the fact that children are frequently invoked at board meetings. “You see mostly older people who are talking about young people, but there are no young people present,” Pannell says of the board meetings. Pannell learned about the opportunity on the community board from a teacher, and for this reason she sees outreach to high schools as a good step for community boards who wish to recruit more young people. She says she’s been embraced by her community board and has formed bonds with older members, who mentor her and offer life advice. “We’re slowly bridging the gap between the older and newer generations,” she says. While Notaro is supportive of bringing in new, young board members, he is less enthusiastic when it comes to the term-limits bill. He says that the bill brings up “an interesting point” about the long-serving board members crowding out younger members. But he says it takes a few terms for board members to get a feel for what the issues are in their communities. Ultimately, he says, he’d like to have a way for board members’ institutional knowledge to be accessed and for them to be on the board long enough to hit their stride. “I don’t want to have high turnover,” Notaro says. James McIntyre, an Astoria resident who attends Queens Community Board 1’s meetings, agrees that preserving the institutional knowledge that older board members bring is important, as some of them have precise, block-by-block knowledge of their districts and can be invaluable sources of information to planners. He suggests keeping on “knowledgeable members” as chairmen emeritus for each committee, but eliminating their voting power. Joseph Viteritti, who teaches courses in city government at Hunter College, agrees that lack of interest in community board membership is an issue. He says that one issue with the term-limits bill is that, despite the desire by some for higher turnover, there isn’t a large enough pool of people interested in joining the boards because meetings are time-consuming and the position does not pay. The sometimes tedious issues discussed at community board meetings – from liquor licenses to the number of tables at outdoor sidewalk cafes–are not compelling to the average person, he notes. And board members tend to skew older and include many retirees because few others have as much unstructured free time. Regardless of whether turnover increases on the board, Pannell offers advice to other youth regarding the relative difficulty of finding one’s way onto a community board. Read the rest of the series here. Board members do skew older but they have the time to participate. Not a perfect system but the Community Boards keep an eye on the city government, and know their neighborhoods. Truth is I use 311-online to report stuff that years ago would be handled through the Community Boards. The city is aging, and its older population includes many thousands of people who have never learned English, posing a large challenge to society that current resources are ill-equipped to solve. Funding for the bodies has increased steadily, if slowly, since 1996. But resources are still scarce for the entities that represent the city’s most local level of government. 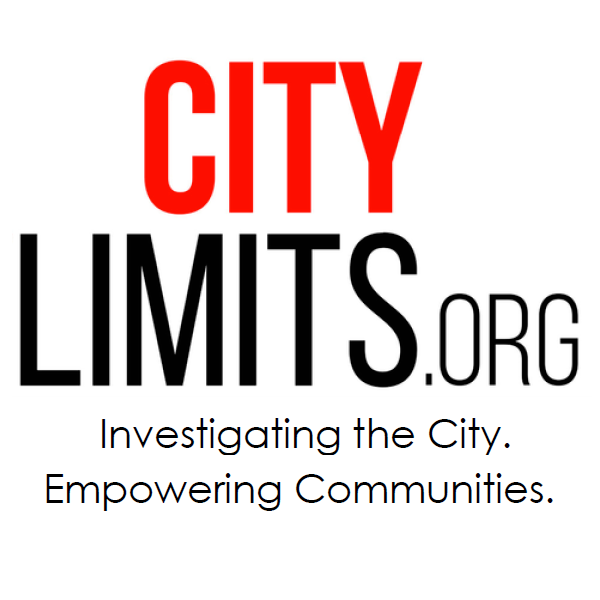 Do New York’s Community Boards Need Veto Power? Recent citywide projects like the mayor’s affordable-housing plan have reignited long-standing critiques of community boards—about the value of their advisory votes and how effective they are at reflecting the will of the diverse community districts they represent.